The Romanian transport infrastructure, among the least developed in the European Union, is beginning a new year of uncertainties as government’s promises are considered unrealistic by independent experts. 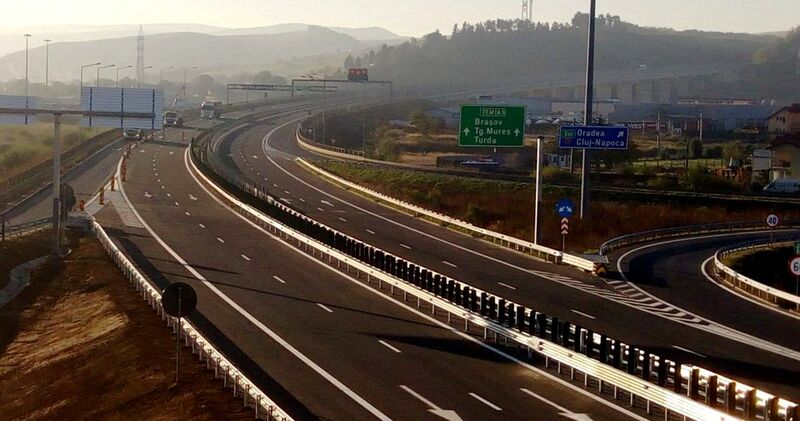 The head of the Romanian Senate, Calin Popescu-Tariceanu, said this week that the chief of the state-owned public roads company (CNAIR) has promised to open 180 km of new motorways this year. But these new promises come after a year with poor results. Despite the target to open at least 100 km of new motorways in 2018, only around 60 km were really completed. The independent NGO Pro Infrastructura (API) estimates that 43 km of new motorways will be opened this year in a moderate scenario. “The realistic scenario shows us 43.28 km of new motorway this year and 69.18 km in a very optimistic scenario. The rest are just promises to naive, gross misinformation and lies,” API recently said. Romania’s motorway network has extended to around 807 kilometers following the opening of three small sections at the end of last year but still looks like a puzzle with many missing pieces and will remain in this state for the most part of the next decade, according to experts. In a moderate scenario, with the new 43 km of new motorway, the total network will reach 850 km at the end of this year. One of the main reason for the slow advancement of major motorway projects in Romania is the poor management of CNAIR and the politically unstable position of minister of Transports. In 2018, the management for all major Infrastructure state-owned companies has been changed, and the ministry has no minister since the end of last year, after president Klaus Iohannis refused to sign Mircea Draghici’ nomination as minister of Transports. During the last 2 years, 3 persons occupied the position of minister of Transports but no one in Romania remembers their name or some noticeable result. But despite these poor results, there are still many promises. Romania will have 1,000 km of motorway by 2020, CNAIR manager Narcis Neaga recently told reporters. Neaga’s promises came just days after he was threatened by Romania’s prime minister, Viorica Dancila, that he will lose his job if Romania will not have at least 100 km of new motorway completed this year. Despite the fact that CNAIR’s manager missed the target, he was maintained at the head of the company by the main ruling party. 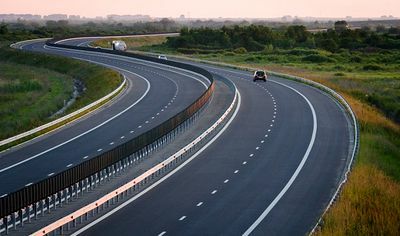 But even the small Romanian motorway network, which looks like a nonsensical puzzle to the unaccustomed eye, is split in two and the country has little chance to connect the two sides within the next decade, a recent BR Analysis showed. Romania – which in 2018 has celebrated the centennial of its union with Transylvania and other smaller provinces – is building two separate motorway networks, and the fracture line lies exactly on the ancient border between the Romanian Kingdom and the former Austro-Hungarian Empire, which included Transylvania and the western province of Banat until 1918. At this moment, the Western province of Banat, with its rich city of Timisoara, is the only Romanian region fully connected to the Western European motorway network, through the Nadlac/Csanádpalota border motorway crossing point. According to main ruling party’s governing programme, Romania should have reach more than 1,000 km of motorway by 2018. One of the motorways included in the governing programme, Targu Mures – Iasi, was completely abandoned by the current government. The region of Moldova, the poorest in Romania, needs good infrastructure connections with Transylvania and Western Europe and with Bucharest to escape its historical isolation, but the government’s priorities for the next decade don’t include Moldova.